Belle & Beast topiary is one of more than 100 festive topiaries featuring favorite Disney characters. Richly hued flowers and floating gardens adorn the Epcot International Flower & Garden Festival. 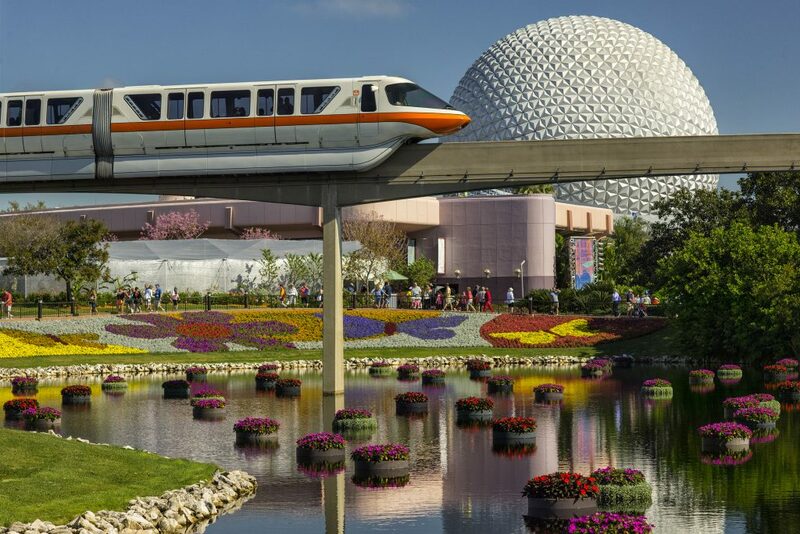 Spring is a great time to visit Walt Disney World and especially Epcot during its annual 90-day International Flower & Garden Festival. 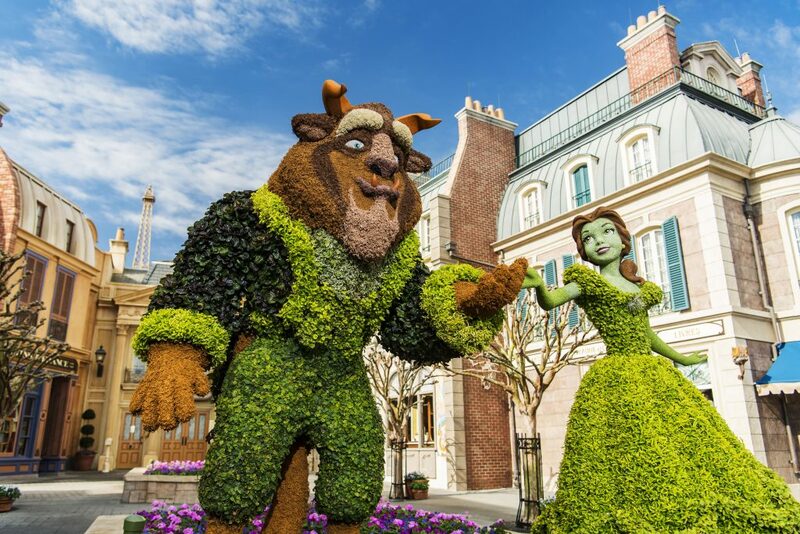 Be prepared to be wowed by millions of brilliant blossoms, more than 100 festive topiaries featuring favorite Disney characters, 220 mini-floating gardens and Disney-crafted “flower towers.” During this event from February 28th to May 28th, guests will also enjoy cuisine from 15 outdoor kitchens and top-notch musical acts.